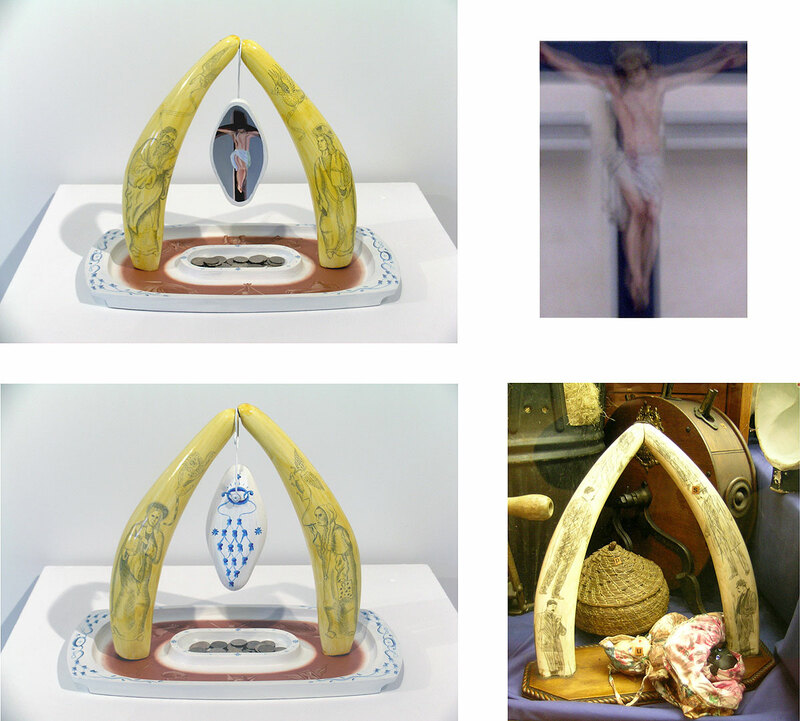 I've just finished a couple of new scrimshaw (which I'll post here soon) and while I was looking through my archives, I found images of a scrimshaw object in the North Otago Museum in Oamaru (bottom, right). 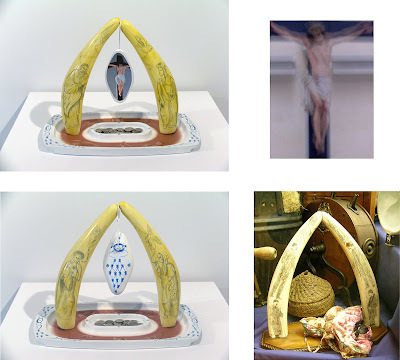 After returning from a trip around the South Island in 2005, I made the Oamaru Altar (top and bottom, left; 2006, 380 x 300 x 310mm, oil on found wooden bowls, scrimshaw, wire and thirty New Zealand five-cent coins). I wanted to add something in the centre of the scrimshaw as they look like an archway so I painted a small wooden bowl that was kicking around. The photograph of Christ I took at St. Patrick's basilica in Oamaru. I was pretty close to deleting this image, until I uploaded it onto my computer was stuck by its Cubist or Futurist-type aura or penumbra. This work is part of a private collection in Petone.